o ROI – how to invest wisely in new technology, how to make money with new investments, dealing with price sensitivity, “show me the money”. 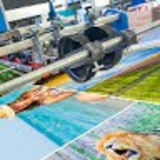 o Dealing with environmental changes, sustainability with plastics and substrate use, going solvent-free. 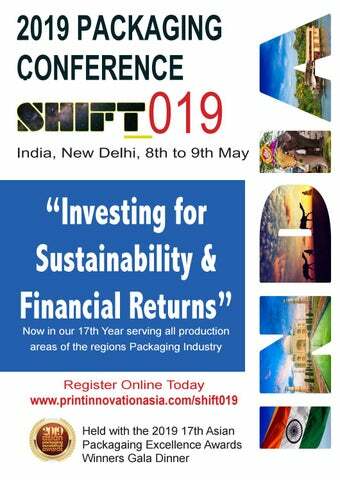 The 17th Annual Labels and Packaging Innovation Asia Conference returns May 2019 to New Dehli India. This year we have speakers from Europe, USA, Australia and Asia, presenting topics that cover every area of Packaging Production In fact there are over 20 world leading speakers who will cover EVERY area of Business Management, Production Technologies, Colour Management plus much-much more over the course of the 2 day event Combined with the Asian Packaging Excellence Awards you must come and find out first hand the latest information to help your business grow in the coming years - Asia and especially India has been tapped to lead the packaging industry GROWTH until 2025.
www.printinnovationasia.com/shift019 Day 1. 10am - 5pm Full day confence followed by cocktails till 7.30pm for networking opportunities Day 2. 10am -5pm Full day conference followed by pre Awards drinks and Awards dinner from 7.30pm till late.